Promotions & Events	Treat yourself to FREE audios @ ALA in Chicago: lunchtime book buzz, Odyssey Awards, and more! 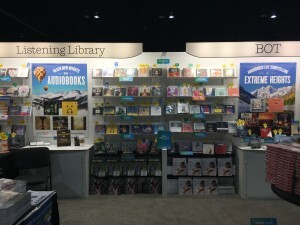 Get the scoop on the hottest new audios at ALA Annual in Chicago! Check out our schedule of events below for a full list of fun audio programming, where you can score free audios and meet award-winning narrators, and more. Audiobook popularity continues to soar! The most recent Audio Publishers Association survey announced that 2016 audiobook sales totaled more than $2.1 billion, up 18.2 % over 2015. This is the third consecutive year that audiobook sales have expanded by double digits. Is your library’s circulation keeping up with the times? 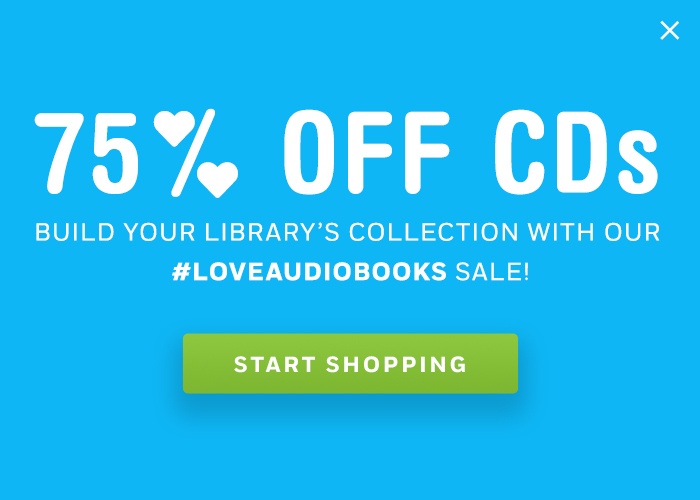 Don’t miss out on the latest in audio at ALA to reach new listeners and avid audio fans at your library. Our ALA Annual 2017 Audiobook Buzz means delicious lunch, a free audiobook, and the chance to learn behind-the-mic secrets about exciting new summer and fall listens! 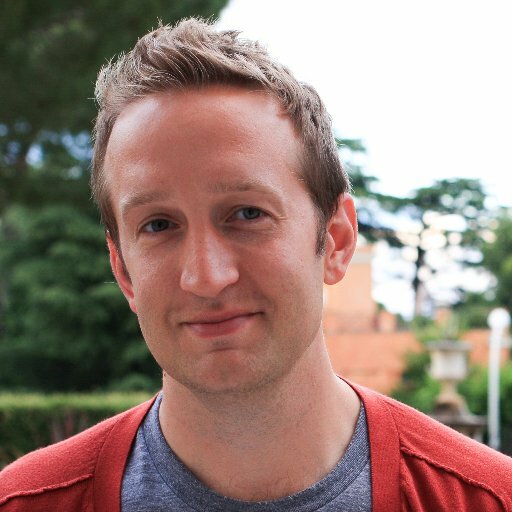 Don’t forget to drop by our Chapter 1 Stage panel, “The Alchemy of Audiobooks: The Making of an Odyssey Award Winner” to learn about the creation of this year’s winner, ANNA AND THE SWALLOW MAN –featuring narrator Allan Corduner (Homeland, Florence Foster Jenkins). Make sure to stop by BOT Booth #3811 for a FREE daily CD giveaway! Keep reading below for all the exciting ways to treat yourself at ALA! 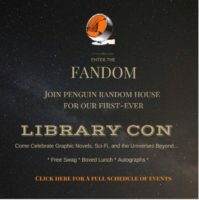 See a full list of Library Con events here. Can you name the family seat of each Westerosi house? Identify a Star Wars villain from a single line of dialogue? List every Hogwarts professor by magical subject? Test your knowledge, competing head-to-head with fellow fans and authors Julie Berry (THE PASSION OF DOLSSA, THE EMPEROR’S OSTRICH), E. Lockhart (WE WERE LIARS, GENUINE FRAUD) and Peter Bognanni (THINGS I’M SEEING WITHOUT YOU) in categories like “May the Force Be With You,” “Expecto Patronum,” “YA Blockbusters,” “Fantasy Worlds,” and more, using audio clips from Star Wars, Harry Potter and other bestselling audiobooks. Star Wars audiobook narrator Marc Thompson will host in character as Obi-Wan Kenobi and select a few lucky audience members to compete onstage as contestants! View on the official ALA website. Join award-winning narrator Dion Graham and audio industry experts like Thom Barthelmess for a discussion on audiobooks and diversity. Discover how online tools, including Sound Learning, Hear Diversity, and Read Proud Listen Proud bring librarians, teachers, narrators, and publishers together to provide culturally authentic listening experiences for young people. Attendees will receive a complimentary signed copy of IN THE SHADOW OF LIBERTY by Kenneth C. Davis and read by Dion Graham and a full cast. Winner of YALSA’s Excellence in Nonfiction for Young Adult. WATCH THE AUDIOBOOK TRAILER to hear the many talented voices who help tell these important stories. What could be better than free signed books and breakfast? Get all that and more at Literary Tastes! Listen to some of the year’s best authors from RUSA’s book and media award winners and Best of List, including authors Gregg Hurwitz and Julia Quinn, plus audiobook narrator, Dion Graham, a 2017 RUSA Listen List winning narrator of EVICTED! Book signings immediately following the event. 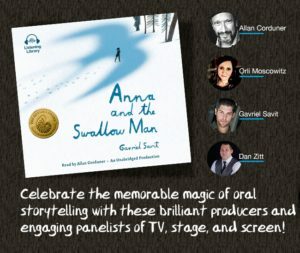 Meet the audiobook team behind the 2017 Odyssey Award Winner, ANNA AND THE SWALLOW MAN! 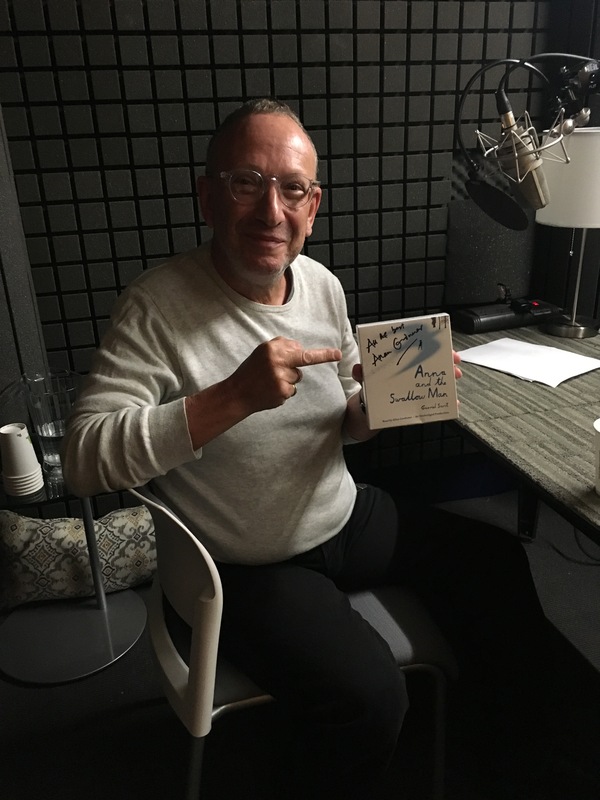 Grammy Award-winning producer Dan Zitt will lead an interactive discussion with producer Orli Moscowitz, narrator Allan Corduner (Homeland, Florence Foster Jenkins), and author Gavriel Savit (Broadway’s Amazing Grace) about the process of creating this award-winning audiobook. Come, enjoy some delicious lunch and hear some truths and (perhaps a few lies…hint: we’re playing two Truths and a Dare) with Odyssey Award Winner Allan Corduner and RUSA Listen List Winner Dion Graham, Grammy Award-winning and Grammy Award-winning Producer Dan Zitt. 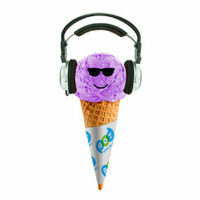 Plus – Get the behind-the-mic news about the hottest summer and fall listens! Plus, before the BOT audiobook buzz, don’t miss the Penguin Random House Library Marketing Group’s book buzz from 11:30 am – 12:30 pm in the same room! For the scoop on kids titles, don’t miss the Penguin Young Readers Book Buzz Saturday, June 24th, 12:00-12:45pm at the McCormick Place, Exhibit Hall – Book Buzz Theater. Listening Library will join the buzz! Celebrate oral storytelling at the 2017 Odyssey Award Presentation, featuring live readings from the 2017 Odyssey Award and Honor-winning narrators! The Odyssey Award is presented annually to the best audiobook production for youth and co-administered by YALSA and ALSC and is sponsored by Booklist magazine. 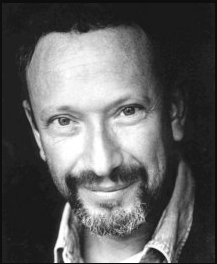 Allan Corduner will receive the Odyssey Medal for his narration of ANNA AND THE SWALLOW MAN —and author Gavriel Savit and producer Orli Moscowitz will also speak! You can also grab galleys of the following titles, coming soon on audiobook! Come see us in the Penguin Random House booth! Happy travels to Chicago!